You can add a splash of style to your designs with the TierraCast antique pewter large shell bead. This bead is shaped like a ridged clam shell. It's perfect for creating bold beach themes in your designs. The stringing hole runs from the top of the shell to the bottom of the tapered end, so it will hang straight in your projects. You'll love using this cool bead with other beach-themed components and colors. This bead features a dark silver color with even darker tones in the recesses of the design. Put a touch of beach style in your designs with the TierraCast small shell bead. This bead is shaped like a small clam shell with delicate ridged details carved into the surface. The stringing hole runs from the top of the shell to the bottom, so it will hang straight in designs. You can use it as a charm by adding it to a head pin. Try using it with ocean colors for sea-worthy style. 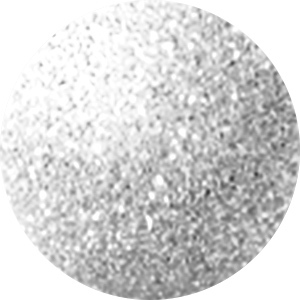 This bead features a versatile silver shine that will work with any color palette. Put a touch of beach style in your designs with the TierraCast small shell bead. This bead is shaped like a small clam shell with delicate ridged details carved into the surface. The stringing hole runs from the top of the shell to the bottom, so it will hang straight in designs. You can use it as a charm by adding it to a head pin. Try using it with ocean colors for sea-worthy style. This bead features a regal gold shine full of classic style. Add beach style to designs with the TierraCast brass oxide pewter large shell bead. This bold bead is shaped like a scalloped shell with ridges detailing the surface. It's perfect for ocean-inspired looks. The stringing hole runs from the top of the shell to the tapered bottom. This bead will add texture and organic style to your designs. It features a dark golden brown color, perfect for vintage-inspired color schemes. Add beach style to designs with the TierraCast large shell bead. This bold bead is shaped like a scalloped shell with ridges detailing the surface. It's perfect for ocean-inspired looks. The stringing hole runs from the top of the shell to the tapered bottom. This bead will add texture and organic style to your designs. This bead features a warm copper glow full of rich style. Create a cute accent in your designs with this TierraCast bead. This bead is shaped like a turtle and is full of fun details. This three-dimensional turtle bead is drilled from head to tail, so you can easily add it to your designs. Dangle it from a head pin for a fun charm. It's great for any animal lover. This bead features a versatile silver shine that will work with any color palette. Create a cute accent in your designs with this TierraCast bead. This bead is shaped like a turtle and is full of fun details. This three-dimensional turtle bead is drilled from head to tail, so you can easily add it to your designs. Dangle it from a head pin for a fun charm. It's great for any animal lover. This bead features a warm copper glow full of rich beauty. Create a cute accent in your designs with this TierraCast bead. This bead is shaped like a turtle and is full of fun details. This three-dimensional turtle bead is drilled from head to tail, so you can easily add it to your designs. Dangle it from a head pin for a fun charm. It's great for any animal lover. This bead features a regal golden shine full of classic beauty. Put a touch of beach style in your designs with the TierraCast small shell bead. This bead is shaped like a small clam shell with delicate ridged details carved into the surface. The stringing hole runs from the top of the shell to the bottom, so it will hang straight in designs. You can use it as a charm by adding it to a head pin. Try using it with ocean colors for sea-worthy style. This bead features a warm copper color full of rich beauty.